All product names, trademarks, brands and logos used on this site are the property of their respective owners. The depiction, description or sale of products featuring these names, trademarks, brands and logos is for identification purposes only and is not intended to indicate any affiliation with or authorisation by any rights holder. © 2018-2019 Sinus-Elektrotechnikai Bt. Minden jog fenntartva! 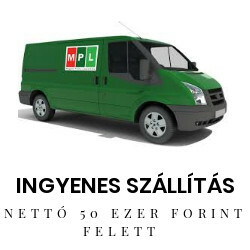 A műszaki adatok és információk előzetes értesítés nélkül megváltozhatnak.